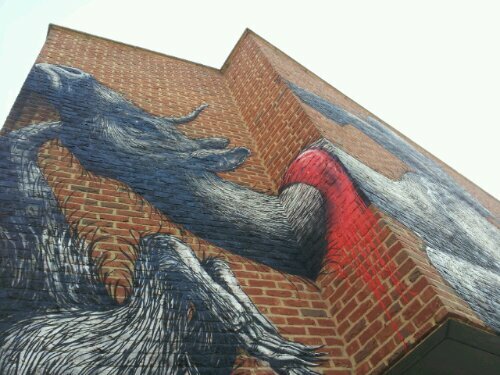 The impressive Belgian artist ROA has returned to the East End with a phenomenal new mural just off Bethnal Green Road in Shoreditch. 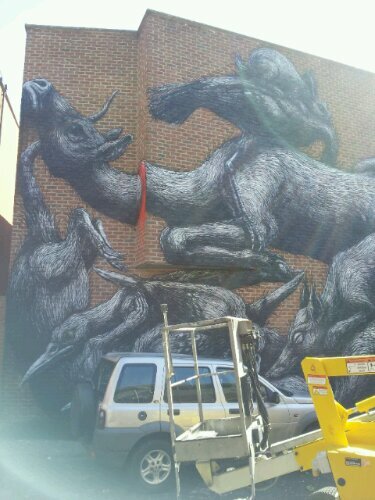 On Derbyshire Street in an alley at the back of Oxford House the mural features many animals interacting in his trademark style. 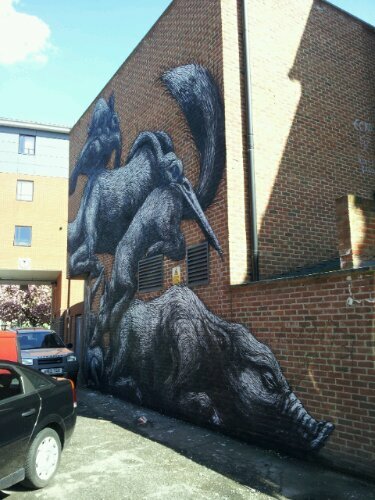 ROA is well known in London and this piece adds to work still surviving on Pedley Street, Bacon Street, Hanbury Street and Chance Street which are all close by. 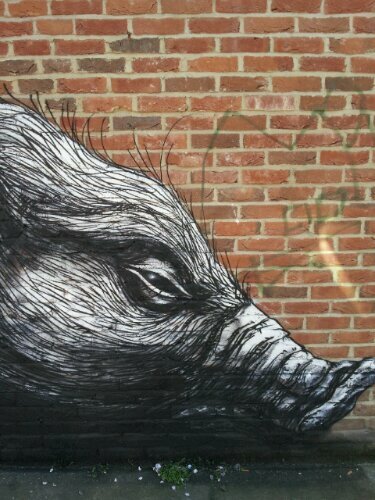 For more pictures check out Bablu’s Blog here and Street Art News here. 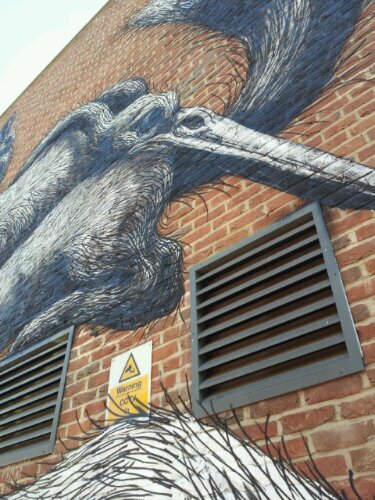 If your interested in finding more ROA locations in London then follow the link. 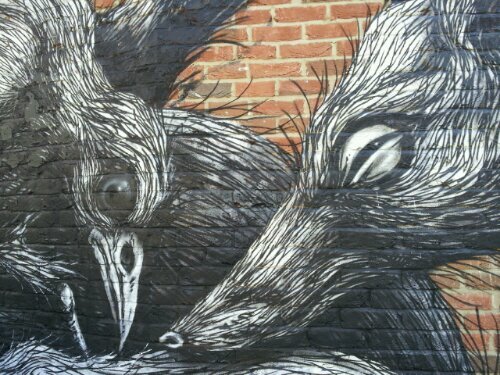 You need to do a write-up for DALeast too. Good idea, I saw his piece on Pedley Street. Wheres the other he’s done recently? 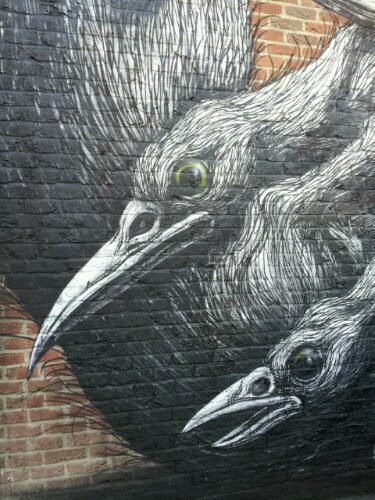 Rivington Street, just off Shoreditch High Street.